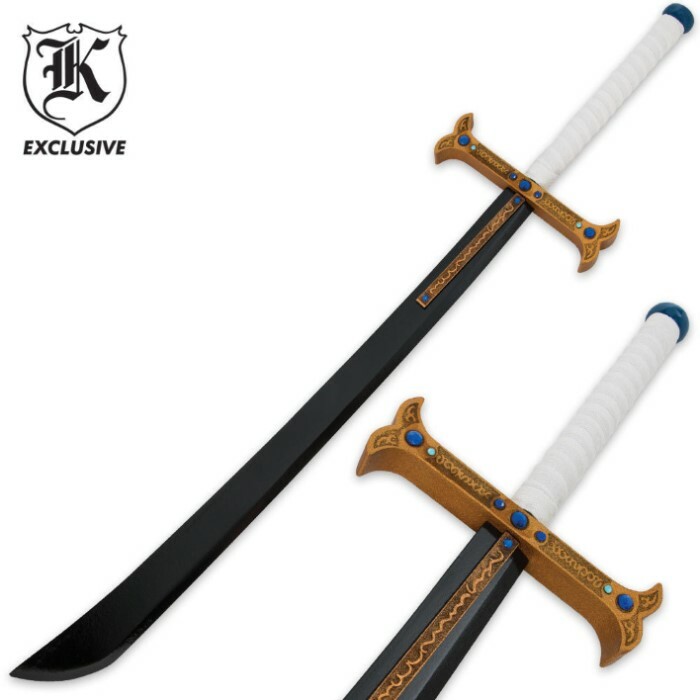 From fantasy to reality, enhance your cosplay with our wooden prop sword! All wood construction blade, handle and guard, with faux jewels and white cord wrapping. 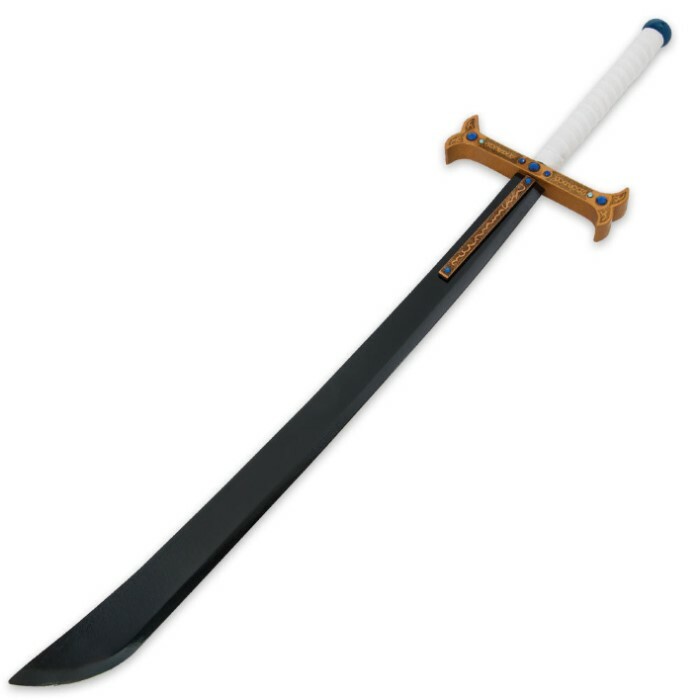 The large swooping blade is finished in black and has an unsharpened edge while being designed to look sharp in person.